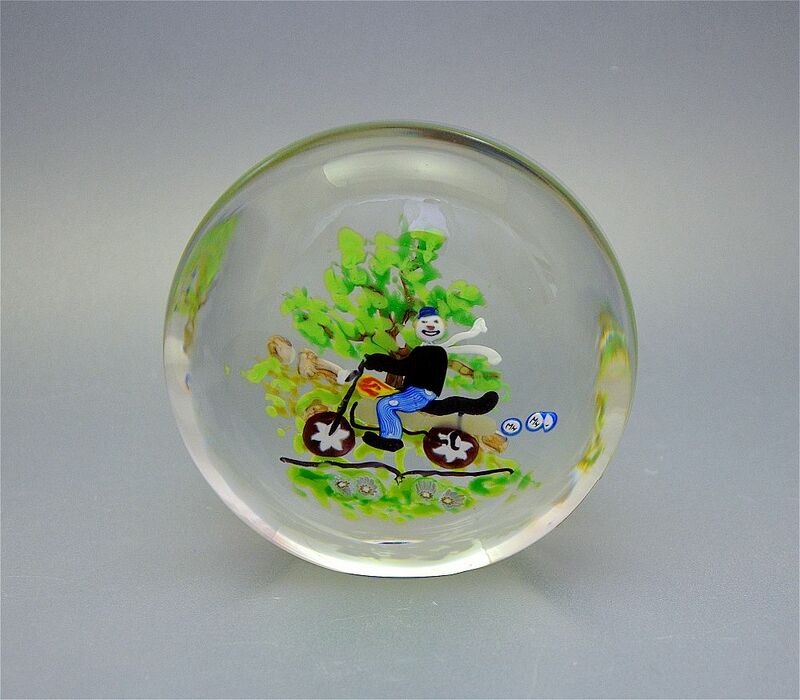 This very quirky plaque paperweight was made by Michael Hunter for Twists Glass in 2006. This is another early piece that we managed to prise out of Mike on our last trip to the studio. The scene within the clear glass is of a man on a motorbike on a road with trees behind and has been made using predominantly torch work technique with star murrine canes for the wheels and a blue & white cane for the trousers. Mike's personal "MH" cane is clearly visible. The base is scratch signed "M J Hunter 2006 Daftie on Bike 1 of 1" and has the Twists Glass studio label.